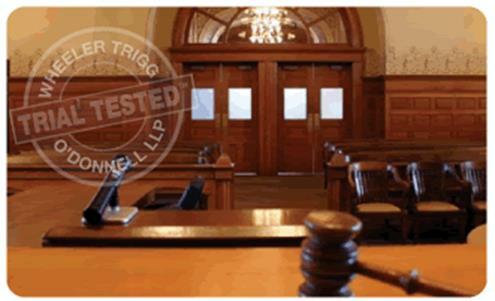 Warning: If you are not an Employee, Agent or Client of Wheeler Trigg O’Donnell LLP and have reached this site in error, please contact the Systems Administrator and leave immediately. Please read the Notice at the bottom of this page before continuing. View your E-Mail, Calendar and Contacts. View Firm Information & Access Documents. Access the WTO Citrix Server. Access the WTO Eclipse Site. Access the WTO Remote Applications Site. View the status of the primary WTO computer systems. Send an email to the I.S. Dept. using your personal email account. Secure Site for Accessing and Downloading Files. As a user of Wheeler Trigg O’Donnell's Computer and Network services there are certain rules, regulations and network etiquette which you must observe. This document is to inform users of these regulations and functions as an overview of the general rules for usage and conduct. This document is NOT a complete list of potential problem areas. Computer accounts and network access is provided to users of Wheeler Trigg O’Donnell (WTO) as a privilege. Therefore, computer accounts and network access may be suspended or revoked if these rules are violated. 1. Computer accounts and network access is provided for exclusive use by an individual or a group of individuals specified by WTO. Providing other individuals or groups access to your account or use of the WTO network is not allowed. 2. Attempts to gain unauthorized access to any account, file or network resource which is not specifically provided for your use, including those systems not operated by WTO is forbidden and WILL result in immediate revocation of ALL accounts and network access provided for your use by WTO. 3. Attempts to circumvent restrictions placed on your account or network access are forbidden. 4. Computer services or network access at WTO are not allowed to be used for any purpose other than those that are involved in firm business. 5. Non-firm related uses of computer services and network access that result in a negative impact on firm related uses are not allowed and will be terminated. 6. WTO-specific or commercially obtained network resources may not be retransmitted outside of the WTO community. Examples include, but are NOT limited to: the documents, e-mail, confidential client information. 7. The WTO intranet web site is a shared resource. Excessive use of the network resources which inhibits or interferes with the use of the network by others is not permitted. 8. Use of WTO computer services or network access for ILLEGAL purposes are expressly forbidden. Violations of any of the rules and regulations listed above can result in the suspension and/or revocation of any and/or all computer accounts and network access provided to you by WTO. Violations of WTO regulations or local, state and federal law will be referred to the appropriate authorities. WTO reserves the right to inspect any information or data residing on any of its systems whenever it is deemed necessary. All information, including personal information, placed on firm systems or sent over the firm's network may be monitored. Use of WTO's computer and network systems, authorized or unauthorized, constitutes consent to monitoring of these systems.